A man has been charged with offences at several different branches of TK Maxx in Sussex. A man accused of stealing from TK Maxx stores in Worthing, Crawley and Hove has been charged with several offences, police confirmed. The news follows the arrest of a man following an incident at Worthing's TK Maxx on Friday. Nicu Cirtita, 44, unemployed and of no fixed address, has been charged with common assault and five counts of theft from a shop, according to Sussex Police. All offences are alleged to have occurred at TK Maxx stores in Hove (January 26 and March 5), Crawley (March 9) and Worthing (March 11 and March 15). Officers were called to TK Maxx at 12.55pm on Friday to a report of shoplifting. 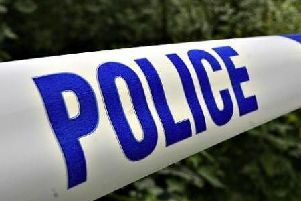 One man was arrested on suspicion of theft and assault. police confirmed at the time. Witnesses should contact police on 101 quoting serial 534 of 15/03.